LARRY JACQUEZ was born in a small town in Northern New Mexico in 1968 to Sonny and Sheila Jacquez. When Larry was only 6 years old, he tragically lost his father to cancer. Larry went to school on the Jicarilla Apache Indian Reservation near Dulce, New Mexico, where he learned several varying forms of art skills. Larry left home at the age of 16 and subsequently met world renowned Artist, David Alvarez, whom he studied under for several years. 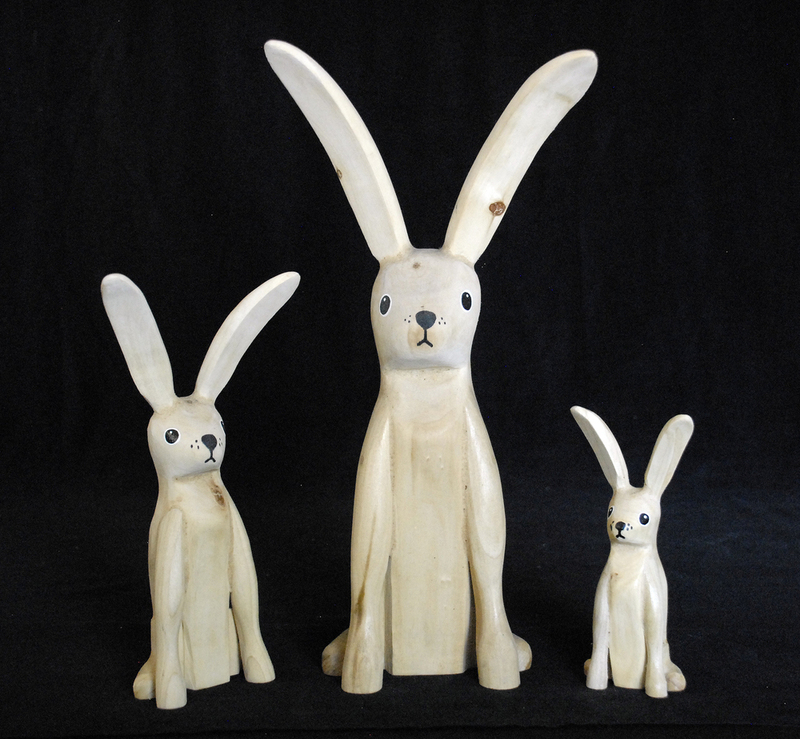 During this apprenticeship, Larry learned the historic techniques of creating traditional folk art such as the carving of Angels, Saints (Santos), Nativities, the famous New Mexico Coyote and basically any other form of wild or domesticated animal. Larry utilizes driftwood gathered from the shores of local lakes and also native cottonwood from along the banks of the Rio Grande to create his sculptures, which can be found in many galleries, museums, churches and, of course, in private homes throughout New Mexico. Larry’s folk art carvings are a regular design feature in Donald Pliner’s stores around the globe. Larry strives to “First and foremost always put his faith in God, help others whenever and wherever he can, and work to become a better person and a more proficient Artist”. These are examples of Felipe's work that we have had over the years. Please contact us to see what we currently have at 505-982-8706. This page is under construction.